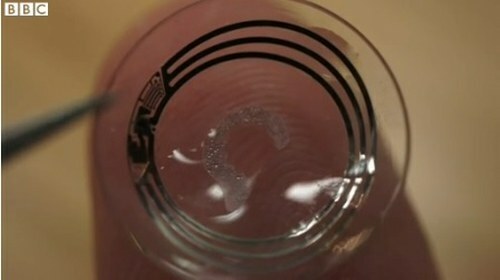 Google is developing smart contact lens, which can detect glucose levels in tears. This wearable device features small wireless chip and small glucose sensor, which is embedded between two layers of lens. According to Google, the sensors are so small that they look like small parts of glitter. The tech giant is working closely with US Food and Drug Administration (FDA) to bring this lens to mainstream use, because currently majority of people, who have problems with glucose levels, are using blood test.